This necklace is made from recycled cedar shakes which have been cut down and sanded to form these fresh fun cottage necklaces. 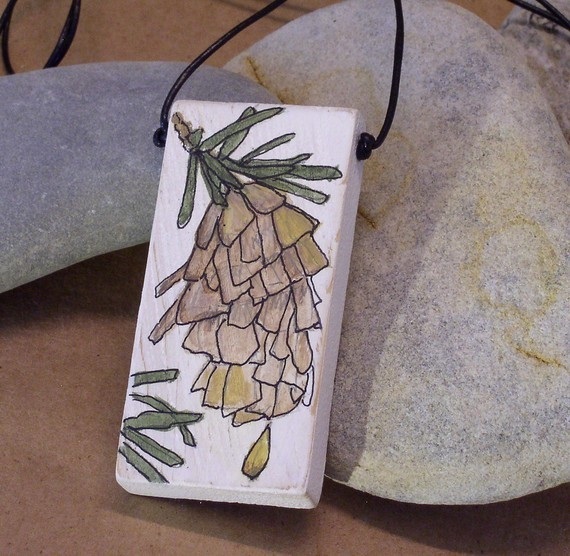 I then painted them white and added a hand painted pine cone. 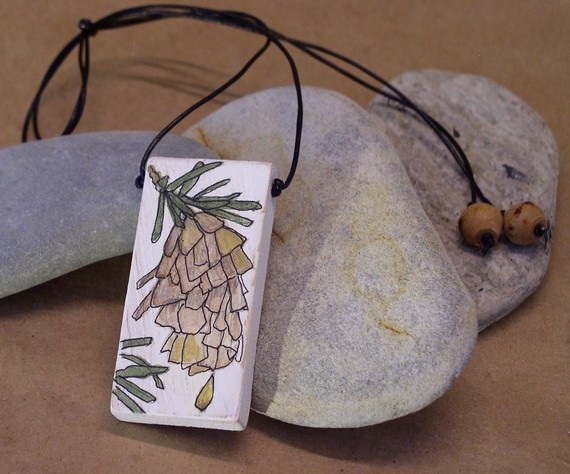 You can wear them or use them as cute little ornaments. They are strung with a 36" waxed leather cord and I used a large wooden bead for the ends.